Mesenchymal stem cells possess a cell-surface protein called ALK2. ALK2 acts as a receptor for bone-inducing growth factors. ALK2, for example, is expressed in cartilage and if mesenchymal stem cells express a constantly-active form of ALK2, known as caALK2, these cells are driven to become cartilage-making cells (known as chondrocytes). Can this receptor be used to drive bone formation? It turns out that manipulating ALK2 can drive fat-based stem cells (ASCs) to become bone making cells that ultimately improve bone tissue engineering. Researchers from the laboratory of Benjamin Levi at Massachusetts General Hospital, Boston, Massachusetts have fiddled with ALK2 in mesenchymal stem cells to for formation of bone from ASCs, and to enhance bone regeneration in a living animal. To do this, Levi’s team genetically manipulated mice so that they expressed a form of ALK2 that was constantly turned on known as caALK2. The fat-based MSCs were then isolated and analyzed for their ability to make bone in culture. caALK ASCs were much more responsive to bone-inducing growth factors. These cells also expressed a whole host of bone-specific genes (e.g., Alp, Runx2, Ocn, Ops) after seven days. Since the caALK2 MSCs did so well in culture, they were then tested in mice with skull defects. Bone formation was significantly higher in mice treated with caALK2-expressing ASCs than those treated with normal ASCs. Thus, Levi’s laboratory has shown that by treating mice with fat-based stem cells that express a constitutively active ALK2 receptor showed significantly increased bone formation. This increased bone formation can also be harnessed to improve skull healing in mice with bone defects. Dr. Chad Schmiedt, a veterinary surgeon from the University of Georgia (UGA) Veterinary Teaching Hospital, and his colleagues have used mesenchymal stem cells from the fat of cats to optimize the acceptance of a new kidney in cats. 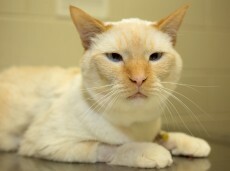 The recipient of this kidney transplant was a four-year-old flame point Siamese male cat named Arthur. Arthur’s owners brought him from Virginia to the University of Georgia after he was diagnosed with chronic renal failure about a year ago. Two other veterinary hospitals declined to operate on Arthur, since they did not deem this cat an optimal candidate for a kidney transplant. As it turns out, Arthur has trouble absorbing cyclosporine, which is the anti-rejection drug used to prevent the recipient of the kidney transplant from rejecting it. In his initial consultation with Arthur’s owners, Schmiedt had the idea of using adult feline stem cells as a part of Arthur’s immunosuppressive protocol. There was precedent for this, since a cat that was operated on at University of Georgia Veterinary Teaching Hospital in 2013 had received a kidney transplant with doses of its own mesenchymal stem cells to prevent rejection of the transplanted organ. This cat was doing well one year after surgery. Mesenchymal stem cells can be harvested fat, bone marrow, and umbilical cord or placenta. Before the transplant surgery, Schmiedt isolated mesenchymal stem cells (MSCs) from Arthur’s fat and the UGA Regenerative Medicine Service grew the stem cells from the fat sample for use in Arthur after his surgery. Arthur has his kidney transplant on May 15, 2014. The first surgery harvests a kidney from the donor cat (named Joey) and the second surgery transplants the donated kidney into Arthur. The UGA transplant program for cats requires that the donor cat be adopted by the recipient family’s family, which means that Joey and Arthur will become lifelong playmates. Apparently, Joey will be joined by Arthur and five other felines as well. Adaptation of this procedure to animals could smooth the path to making this procedure readily available in humans as well. The rationale for this study comes from a 2012 study in mice. Ofer Sadan, Eldad Melamed, and Daniel Offen from the Rabin Medical Center in Tel Aviv University, Israel, used R6/2 mice to test the efficacy of nerve growth factor-secreting mesenchymal stem cells isolated from bone marrow . In this paper, Sadan and others isolated mesenchymal stem cells from the bone marrow of healthy human volunteers and mice and then cultured them in special growth media that induces these cells to secrete special nerve growth factors. These so-called NTF+ cells were then transplanted into the striatum of R6/2 mice. R6/2 mice express part of the human HTT gene; specifically the part that causes HD. Since HD is an inherited disease, there is a specific gene responsible for the vast majority of HD cases, and that gene is the human HTT gene, which encodes the Huntington protein. The function of the Huntington protein is uncertain, but it is found at high levels in neurons, even though it is found in other tissues as well, and dysfunctional Huntington protein affects neuron health. 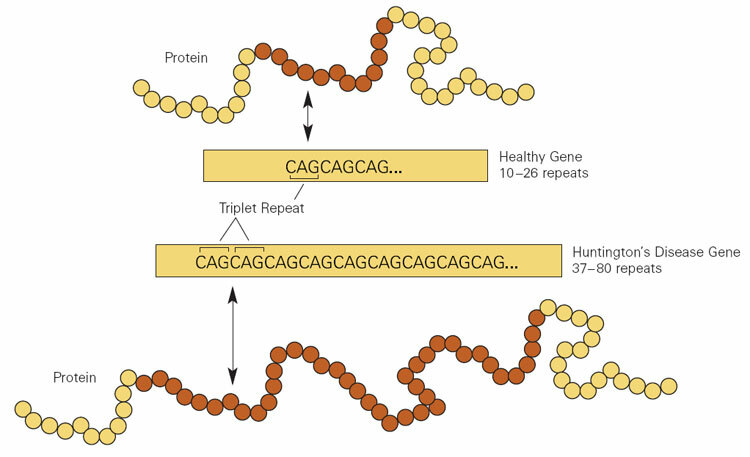 The HTT gene in HD patients contains the insertion of extra copies of the CAG triplet. The more CAG triplets are inserted into the HTT gene, the more severe the HD caused by the mutation. The hitch is that normal copies of the HTT gene has multiple copies of this CAG repeat. CAG encodes the amino acid glutamine, and Huntington contains a stretch of glutamine residues that seem to allow the protein to interact with other proteins found in neurons. When this glutamine stretch becomes too long, the protein is toxic and it begins to kill the cells. How long is too long? Research has pretty clearly shown that people whose HTT genes contain less than 28 CAG virtually never develop HD. People with between 28–35 CAG repeats, are usually unaffected, but their children are at increased risk of developing HD. People whose HTT genes contain 36–40 CAG repeats may or may not show HD symptoms, and those who have over 40 copies almost always are afflicted with HD. Now, back to R6/2 mice. These animals contain a part of the human HTT gene that has 150 CAG triplets. These mice show the characteristic cell death in the striatum and have behavioral deficits. In short R6/2 mice are pretty good model systems to study HD. Sadan and others implanted MSCs that had been conditioned in culture to express high levels of nerve growth factors. Then these cells were transplanted into the striatum of R6/2 mice. R6/2 mice were also injected with buffer as a control. The results showed that injections of NTF+ MSCs before the onset of symptoms did little good. The mice still showed cell death in the brains and behavioral deficits. However, NTF+ MSCs injected later (6.5 weeks), resulted in temporary improvement in the ability of the R6/2 mice to move and these cells also extended their life span. These results were published in the journal PLoS Currents (2012 Jul 10;4:e4f7f6dc013d4e). Other work, also by Sadan and others, showed that injected MSCs tended to migrate to the damaged areas. When the injected cells were labeled with iron particles, they could be robustly observed with MRIs, and MRIs clearly showed that the injected cells migrated to the damaged areas in the brain (Stem Cells 2008; 26(10):2542-51). Another paper by Sadan and others also demonstrated that the striatum of NTF+ MSC-injected mice show less cell death than control mice (Sadan, et al. Exp Neurol. 2012; 234(2): 417-27). Other workers have also shown that implanted MSCs can provide improve symptoms in R6/2 mice and that they primary means by which they do this is by the secretion of nerve growth factors (Lee ST, et al. Ann Neurol 2009; 66(5): 671-81). Thus, there is ample reason to suspect the PRECELL trial may lead to a stem cell-based clinical trial that will yield valuable clinical information. The animal data shows definite value in using preconditioned MSCs as a treatment for HD, and if the proper patients are identified by the PRE-CELL trials, then hopefully it will lead to a “CELL” trial in which HD patients are treated with NTF+ MSCs. Mind you, this treatment will only delay HD at best and buy them time. Such treatments will not cure them. The NTF+ MSCs survive for a finite period of time in the hostile environment of the striatum of the HD patient, and the relief they will provide will be temporary. MSCs do not differentiate into neurons in this case, and they do not replace dead neurons, but they only help spare living neurons from suffering the same fate. There is an MSC cell line that does make neurons, and if this cell line were used in combination with NTF+ MSCs, then perhaps neural replacement could be a possibility. Also neural precursor cells could be used in combination with NTF+ MSCs to increase their survival. Even then, as long as diseased neurons are producing toxic products, until gene therapy is perfected to the point that the actual genetic lesion in the striatal neurons is fixed, the deterioration of the striatum is inevitable. However, treatments like this could, potentially, delay this deterioration. This clinical trial should give us more information on exactly that question. Two more points are worth mentioning. When fetal striatal grafts were implanted into the brains of HD patients, the grafts underwent disease-like degeneration, and actually made the patients worse (see Cicchetti et al. PNAS 2009; 106(30): 12483-8 and Cicchetti F, et al. Brain 2011; 134(pt 3): 641-52). Straight fetal implants do not seem to work. Please let’s put the kibosh on these gruesome experiments. Secondly, when neuronal precursor cells differentiated from human embryonic stem cells were implanted into HD rodents, the implanted cells formed some neurons and improved behavior to some extent, but non-neuronal differentiation remained a problem (Song J, et al., Neurosci Lett 2007; 423(1): 58-61). Having non-brain cells in your brain is a significant safety problem. Thus, embryonic stem cell-derived neuronal precursor cells do not seem to be the best bet to date either. So, this present clinical trial seems to be making the most of what is presently safely available. The term “neostriatum” is almost certainly not a word that you hear terribly often in conversation. Therefore I will try to explain what it is. The outer layers of the brain are known as the cerebral cortex and they are composed of so-called “grey matter.” The cerebral cortex consists of grey matter because it is loaded with cells known as neurons. Beneath the cortical layer of the brain, lies a whole host of extensions of these neurons that reside in the cerebral cortex. These extensions are called “axons,” and beneath the cerebral cortex lies white matter, which consists, largely, of bundles of axons. Think of the neurons are plugs and the axons as extension cords. The neurons are plugged into each other by means of extension cords that extend from the cerebral cortex. 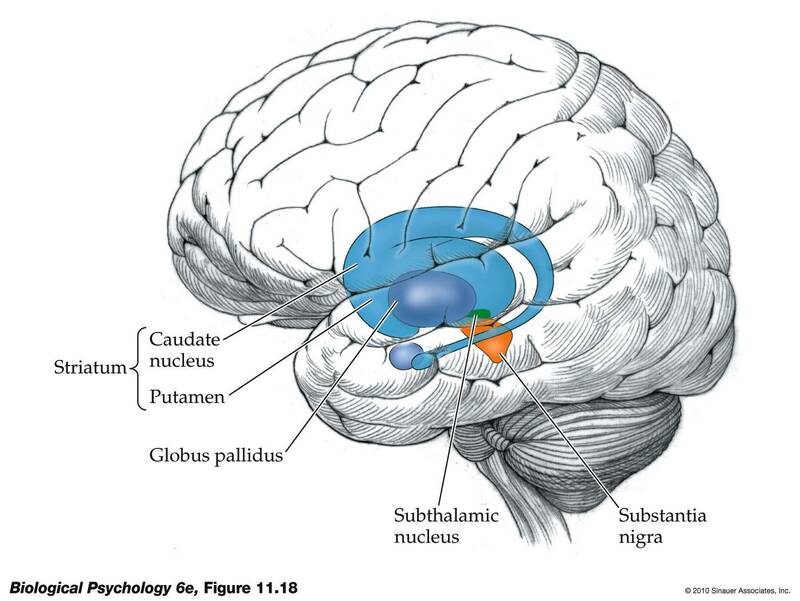 As you can see in the figure, the striatum consists of two structures: the putamen and the caudate nucleus. The striatum or striate nucleus receives neural inputs from the cerebral cortex and inputs this neural information to the basal ganglia. From a functional perspective, the striatum helps coordinate motivation with body movement. It facilitates and balances motivation with both higher-level and lower-level functions – for example, inhibiting one’s behavior in a complex social interaction and fine-motor functions involved in inhibiting small voluntary movement. Some of the neural outputs from the striatum are excitatory – they stimulate other neurons. Other signals are inhibitory – they prevent the neurons to which they are connected from becoming stimulated. Inhibitory neurons release a chemical called “GABA.” These GABA-using neurons are very important for the work of the striatum, and it is exactly these neurons that die off at the greatest rate in patients with HD. Therefore, treatments for patients with HD have focused on replacing or protecting these GABA-using neurons. Experimentally, you can induce an HD-like disease in rodents if you inject a chemical into their brains called quinolinic acid. Quinolinic acid causes many of the GABA-using neurons in the striatum to pack up and die, and for this reason, this chemical is heavily used in the laboratories of scientists who study HD and HD treatments. In a paper by Marcus McLeod and others who did their work in the laboratory of Ivar Mendez, who was at Dalhousie University in Nova Scotia, Canada, but has since moved to the University of Saskatchewan, GABA-using neurons were made from cultured human neural precursor cells (hNPCs) and then implanted into the brains of rats that had been injected with quinolinic acid. The results were spectacularly successful. This work was published in the journal Cell Transplantation. A definite twist with this particular paper is the way the GABA-using neurons were grown in culture; they were grown in bioreactors. Bioreactors are devices that support biological cells, processes, or organisms. They keep the environment of the cells constant, and provide a far superior way to grow cells or tissues in the laboratory. McLeod and his colleagues used human neural progenitor cells and grew them to large numbers in bioreactors. These expanded hNPCs were then differentiated them into GABA-using neurons and then injected into the brains of rats who has been treated with quinolinic acid. The rat model allows the scientist to inject only one side of the brain with quinolinic acid. This leaves the intact side of the brain as a control tissue that can be compared with the injected one. The injected rats showed the characteristic death of the GABA-using neurons and the behavioral features that result from the death of these neurons. Such animals do not walk normally when they are led through a cylinder, and they have trouble finding their way through a maze. The animals that received the transplantations of the GABA-using neurons, however, performed almost as well in these tests as normal rats; not quite as well, but almost as well. The rats treated with quinolinic acid did quite poorly, as expected. Upon post-mortem examination, the rats transplanted with GABA-using neurons shows a host of new GABA-using neurons in their striatums. These cells also underwent further maturation after transplantation, and they also made connections with other neurons. Now this paper shows that the injected cells not only survived the transplantations, but they also matured, made connections and promoted recovery of many of the behavioral symptoms of HD. This procedure certainly has promise. Having said all that, there are two caveats to these experiments. The rodent model is a good model as far as it goes, but it seems clear that the actual human disease turns the environment of the brain into a very inhospitable place. Transplanted cells in the case of human HD patients do not usually survive terribly well. It seems to me that treatments like this must be coupled with other treatments that seek to improve the actual cerebral environment. The second caveat to this experiment is that the neural progenitor cells were taken 10-week-old from aborted fetuses. While these scientists did not perform the abortions that ended the lives of these babies, it is more than little troubling that this research was done using the corpses of those babies whose lives were prematurely ended. Nevertheless, despite these caveats, this paper represents a definite advance in the regenerative strategies available to treat HD patients. The liver is a special organ that performs a whole host of essential functions. 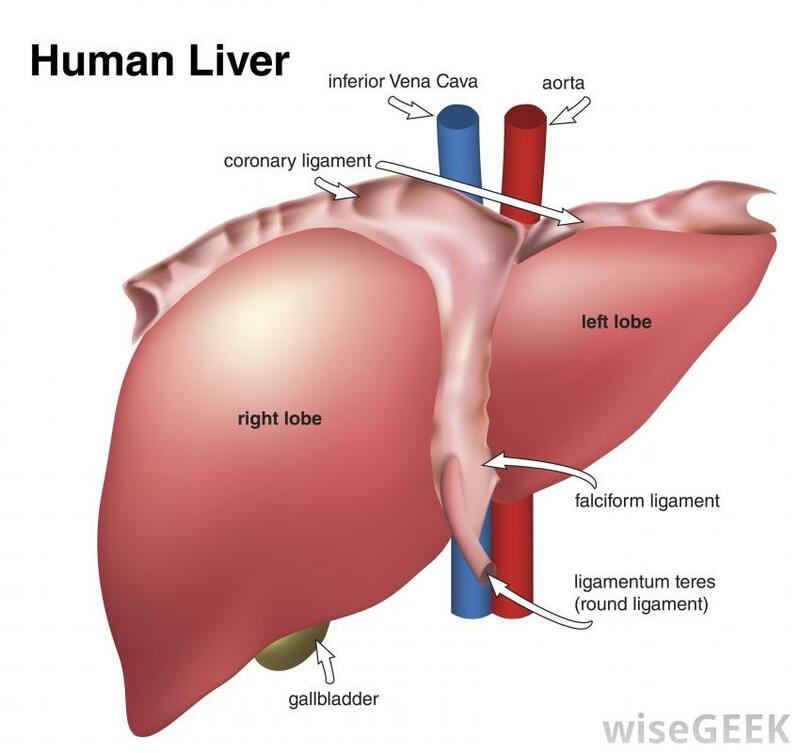 The liver stores iron, vitamins and minerals; it detoxifies alcohol, drugs, and other chemicals that accumulate in our bloodstreams, and it produces bile (used to dissolve fats so that they can be degraded), and blood-based proteins like clotting factors and albumin. The liver also stores sugar in the form of glycogen. All of these tasks are undertaken by a single cell type, the hepatocyte (otherwise known as a liver cell). When your liver fails, you get really sick. This was greatly illustrated to me by one of my colleagues where I teach whose wife suffered extensive liver damage as a result of her battle with lupus (short for systemic lupus erythematosus, an autoimmune disease). Now that this dear lady has had a liver transplant, she is a new person. What a difference a healthy liver makes. What can regenerative medicine do for patients with failing livers? Human pluripotent stem cells, either embryonic stem cells or induced pluripotent stem cells, can be directed to differentiate into liver cells in culture, but the liver cells made by these cells are very immature. They express proteins commonly found in fetal liver cells (for example, alpha-fetoprotein) and they also lack key enzymes associated with adult cells (such as cytochrome P450s). Rashid and others in the Journal of Clinical Investigation (2010; 120: 3127-3136) showed this. The development of three-dimensional culture systems have increased the maturity of such cells, but there is still a long way to go (see T Takebe and others, Nature 2013; 499:481-484 and J Shan and others, Nature Chemical Biology 2013; 9: 514-520). Two papers from the journal Cell Stem Cell might show a way forward to making mature liver cells for regenerative liver treatments without destroying embryos or even using and pluripotent stem cell lines. These papers utilize the procedure known as “direct reprogramming,” otherwise known as “direct lineage conversion.” Direct reprogramming requires the forced overexpression of particular genes that causes the cells to switch their cell types. In the first of these papers, Pengyu Huang and his colleagues from the Chinese Academy of Sciences in Shanghai, China overexpressed a three-gene combination in mouse embryonic fibroblasts that converted the cells into hepatocytes at an efficiency of 20% after 14 days in culture. This gene combination, known as 3TF (HNF4/HNF1A/FOXA3), converted the mouse embryonic skin cells into mature liver cells that made blood proteins and drug-processing enzymes. The only problem was that these mature cells could not grow in culture because they were mature. Therefore, Huang and others infected these cells with a virus called SV40, which drove the cells to divide. Now these cells could be grow in culture and expanded for further experiments. When transplanted into the livers of mice with failing livers, the induced liver cells made by Huang and others restored proper liver function and allowed the mice to survive. Next, Du and others used three different mouse models of liver failure in all three cases, the hiHeps were capable of colonizing the damaged liver of the mouse and regenerating it. Mind you, the hiHeps did not do as good a job as human primary hepatocytes, but they still worked pretty well. This shows that this direct reprogramming protocol, as good as it is, can still be optimized and improved. These studies show that the production of highly functional human hepatocyte-like cells using direct reprogramming is feasible and represents an exciting step towards the production of a supply source of cells for drug development, and therapies for liver disease. MEDIPOST America Inc. has announced that the US Food and Drug Administration (USFDA) has approved their product Pneumostem for a Phase 1/2 clinical trial. This Phase 1/2 trial will assess the safety and efficacy of Pneumostem on prematurely born infants who are at high-risk of developing Bronchopulmonary Dysplasia. Bronchopulmonary dysplasia (BPD) is a serious lung condition that affects infants. BPD usually affects premature infants who need oxygen given through nasal prongs, a mask, or a breathing tube in order to properly breathe. Most infants who develop BPD are born more than 10 weeks before their due dates and weigh less than 2 pounds (about 1,000 grams) at birth, and have breathing problems. Respiratory infections that hit before or shortly after birth also can contribute to BPD. Some infants who suffer from BPD may need long-term breathing support from breathing (NCPAP) machines or ventilators. BPD is the leading cause of mortality and severe complications in premature infants. Currently there is no approved therapies or drugs exist for BPD. This pneumostem trial is expected to draw global attention in the field of neonatal medicine, since it would provide a potential treatment for BPD where none presently exists. Pneumostem is an off-the-shelf product made from human Umbilical Cord Blood-derived Mesenchymal Stem Cells (hUCB-MSCs). hUCB-MSCs show a terrific ability to grow in the laboratory and can also differentiate into multiple types of cells or tissues. They are immune-privileged and thus if they are used in patients other than from whom they are isolated, they do not cause adverse immune reactions. hUCB-MSCs harvested from cord blood show the lowest levels of immunogenicity compared to those by other types of adult stem cells. Thus, instead of provoking immunogenicity, they rather modulate the adverse immune reactions within the host, which makes hUCB-MSCs an ideal candidates for mass-producible stem cell drug for allogeneic use. These cells seem to facilitate regeneration of lung tissue and suppress the inflammatory responses in the lungs of premature infants. Pneumostem has received Orphan Drug designation in Korea by the Ministry of Food and Drug Safety (MFDS) and the Korean Phase 2 study is 80% complete. The US FDA also granted Orphan Drug designation for Pneumostem demonstrating its medical value and commercial potential. Presently, MEDIPOST America is rapidly moving begin this Pneumostem trial in the U.S. At the same time, Medipost will continue its licensing and technology transfer negotiations with multinational pharmaceutical companies. The approval of this Pneumostem clinical trial by the US FDA, whose regulation of medicinal products is very strict (including stem cell products), might boost clinical trial approvals in other European and Asian countries. Clinical development of Pneumostem was partly supported by Translational Stem Cell & Regenerative Medicine Consortium grant as a part of Public Health and Medicinal Technology R&D Project funded by the Korea Ministry of Health & Welfare and the Korea Health Industry Development Institute. Bone Therapeutics is a biotechnology company that specializes in regenerative therapies for orthopaedic conditions. Founded in 2006, Bone Therapeutics is headquartered in Gosselies, Belgium. One of the products developed by Bone Therapeutics is called ALLOB, which is a bone making (osteoblastic) cell product that has the ability to regenerate bone, and has been developed for the treatment of bone diseases. ALLOB is meant to be an off-the-shelf product that can be used to treat patients with various types of bone diseases. Bone Therapeutics has recently announced that it has received approval from the Belgium regulatory agencies for a phase II proof-of-concept study to assess the safety and efficacy of ALLOB in spinal fusion procedures that are commonly used to treat degenerative lumbar disc disease. The hope is that this clinical trial will demonstrate that ALLOB improves spinal fusion surgery outcomes. Bone Therapeutics hopes to market ALLOB as an off-the-shelf treatment for spinal fusion surgery. In previous studies, ALLOB has shown that it can enhance bone formation, and that it is a safe product in laboratory animals. Currently ALLOB is being evaluated in a phase I/IIa trial for delayed-union fractures. This is a pilot proof-of-concept study that examines 16 patients with symptomatic degenerative lumbar disc disease, all of whom require interbody vertebral fusion. These patients will be treated with a single dose of ALLOB mixed with bioceramic granules to promote bone formation and fusion at the within the degenerative discs. The bioceramic scaffold in this trials promotes bone formation by guiding bone growth in three dimensions and restoring a healthy bone environment. Patients will be enrolled in this trial at four different centres. The safety and efficacy of the treatment will be monitored over 12 months by clinical and radiological means. Additionally, there will be a 24-month post-study follow-up. Back pain is a widespread medical disorder in industrialized societies that sometimes requires spinal surgery. Around 1.3 million spinal fusions are performed each year in Europe and the USA, the majority of which are to address degenerative lumbar disc disease. Despite the frequency of this surgery, non-union of bone and persistent pain following the intervention is still somewhat common. Further improvements to this procedure would be most welcome to patients and medical practitioners alike.